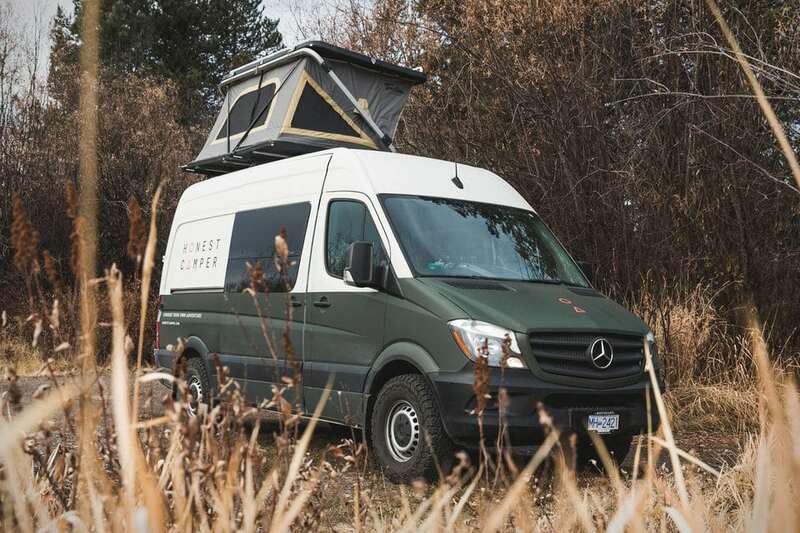 If you’re planning an expedition across the great Pacific Northwest, you can go by with just the bare essentials. 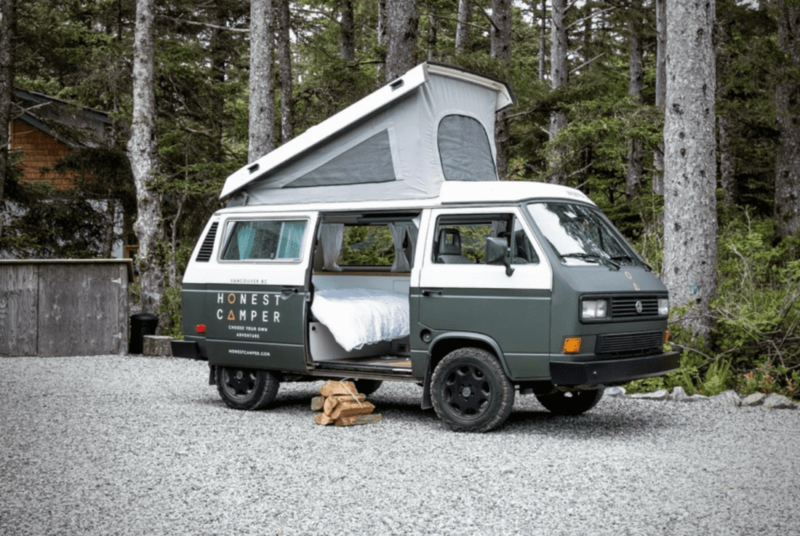 If you don’t want to leave creature comforts behind, though, there’s Honest Camper. They’ll give you the option to rent both modern and retro rentals. 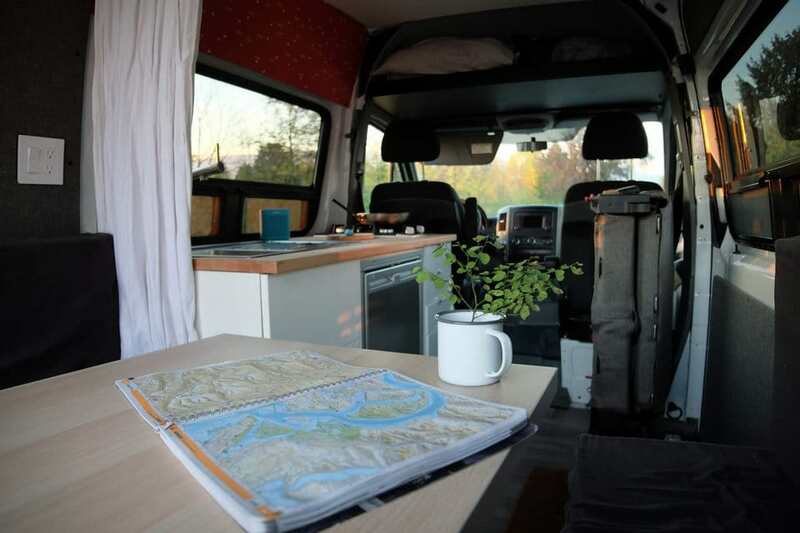 The RVs are based on either the Mercedes-Benz Sprinter or Volkswagen Westfalia, respectively. 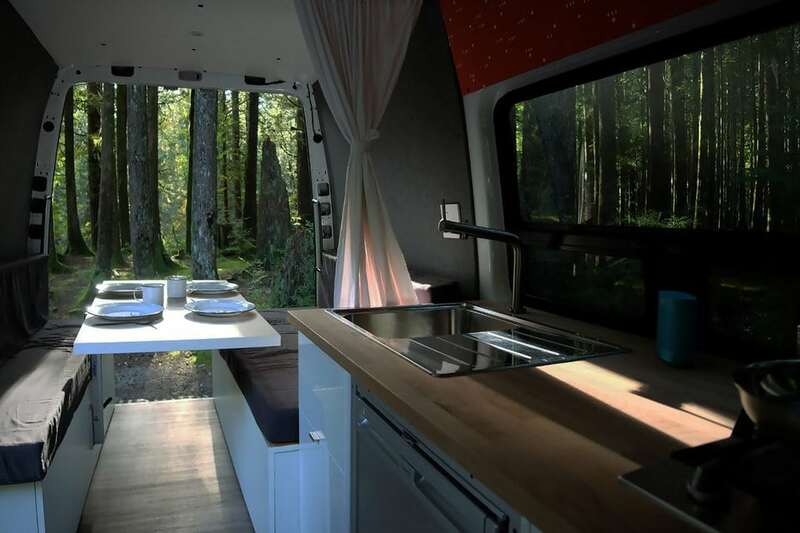 Both options accommodate four campers and boast essentials such as a cooktop, pots and pans, a fridge and a freezer, and folding chairs. You can pick the van up and drop them off at various Translink Skytrain Stations. Alternatively, you can arrange to have the ride picked up at a totally different city. 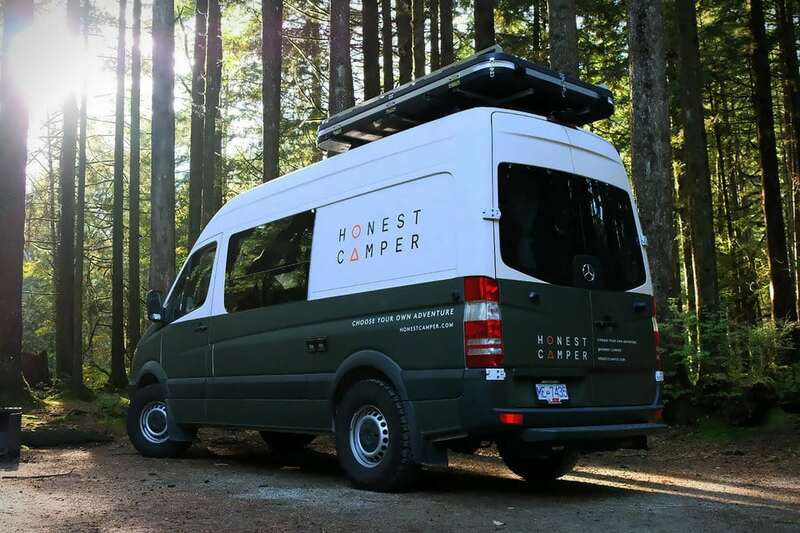 Honest Camper knows, after all, that you never know where camping adventures will take you. The vans themselves don’t skimp on aesthetic and quality, just so you know. 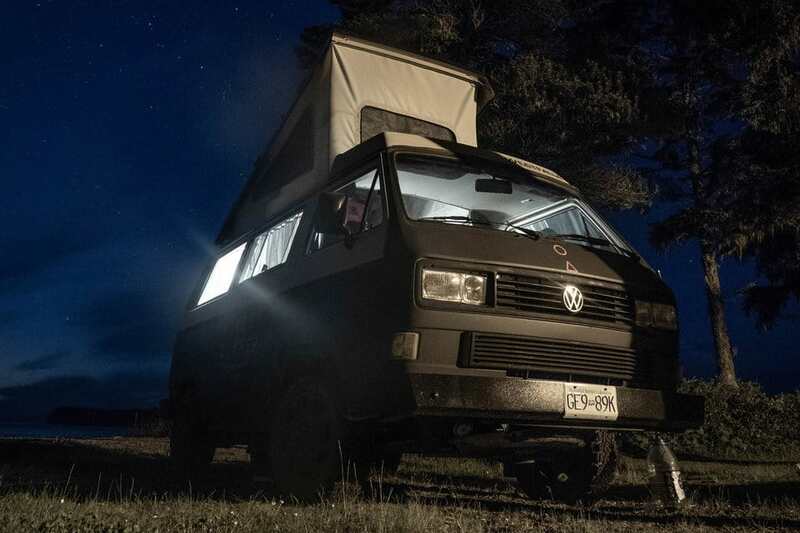 They’re marvels of compact design, outfitted with all the necessities you need to carve out a fulfilling experience in the middle of the woods. Them being painted in a vibrant a shade of woodland green is just the cherry on top. 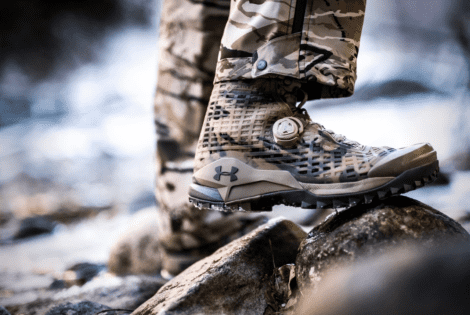 They’re painted that way because they’re designed to blend right into your backcountry habitat. When you’re read to turn in for the day, there’s Casper memory foam mattress for you to lay on. 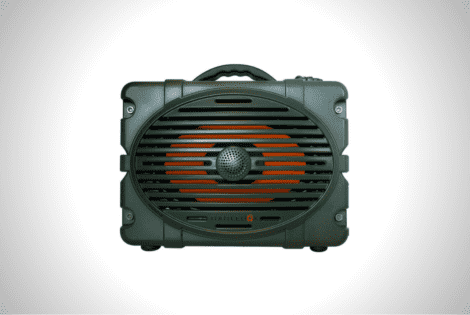 If you’re not feeling tired yet, listen to some tunes on the upgraded stereo system, streaming Spotify over the RV’s built-in Wi-Fi. 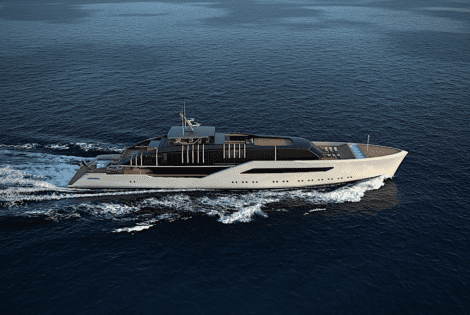 Extras include environmentally friendly soap and fragrant candles. The interiors might be a minimalist at best, but overall it’s on par with any European-inspired decor, only muted this time to keep it clean, spare. 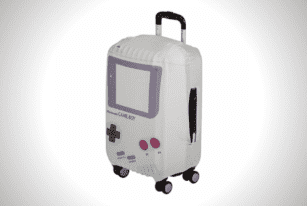 Bioworld’s Gameboy Luggage Cover covers your airport baggage with a bit of nostalgic flair for just $30. 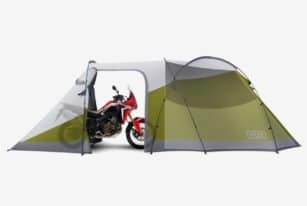 The VUZ Moto Motorcycle Tent can shield a bike and three people from heavy rains and strong winds. It packs down for travel and sets up using stakes and poles. 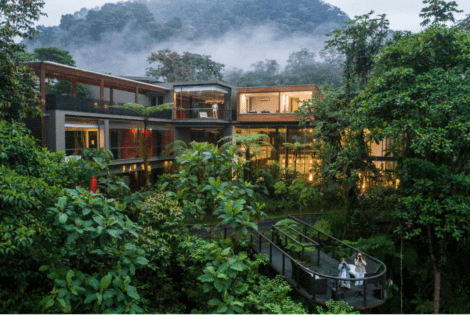 Ecuador is home to the magnificent “Cloud Forest” or “Bosque de Niebla” to the locals and nestled within this vast expanse of trees and mountains sits the Mashpi Lodge. At $1,098 per night plus taxes, the lodge immerses you in nature accompanied by amenities that are comparable to a luxury hotel. Rooms are designed to provide guests with an unobstructed view of the surrounding forest with its floor-to-ceiling windows.